Cooking octopus at home is easier than it may seem, and today I’m showing you how to make harissa octopus with tomatoes & chive blossoms…the perfect little summer appetizer. It’s time to cook octopus at home! It’s intimidating to most, but I’ve got all the tips you need to conquer octopus in an effortless way. So, let’s get right into it. 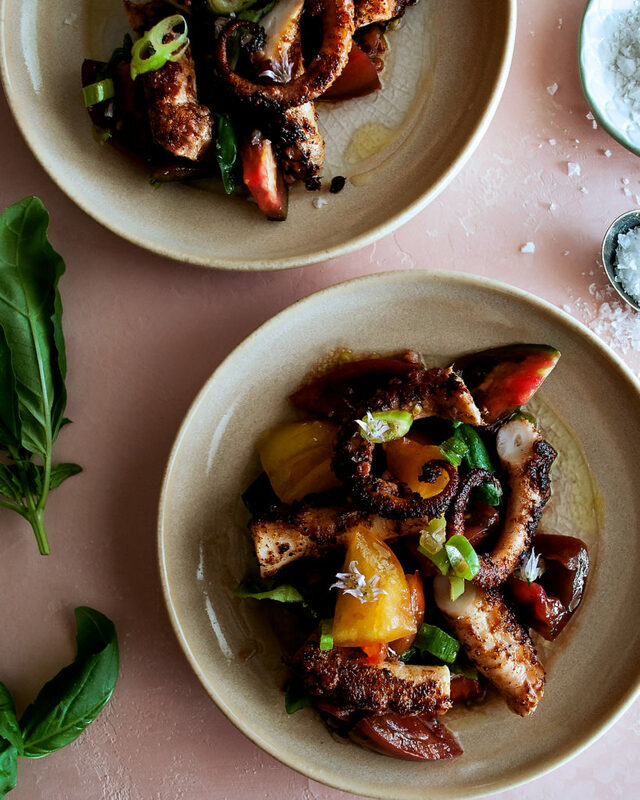 Once you master the technique, you can play around with flavors and textures to create all sorts of delicious octopus dishes. Here I’m adding a punch of flavor to the octopus with harissa powder right before charring it. We’re also celebrating summer heirloom tomatoes by tossing them simply with olive oil, basil, and chive blossoms for a quick little topping. I’ve documented all the steps in the recipe below, but here are some octopus tips to make things even easier. Let’s do this. 1. Plan Ahead – Scope out where to find octopus in your area. I usually have good luck finding it at Whole Foods. If you can’t find it easily, talk to a local fishmonger about ordering it for you. 2. Check for Quality – Octopus shouldn’t have a “fishy” smell. It should smell fresh and clean. 3. Buy Enough – Octopus cooks down a good amount when cooking it. I usually follow the rule of buying about ¾ lb of octopus per person for an appetizer portion. 4. Remove the Beak – Just to keep things as simple as possible, ask your fishmonger to remove the beak for you. 5. 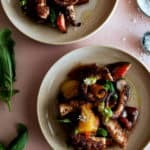 Slowly Cook to Start – When striving for extremely tender octopus, you’ll want to first slowly cook it in barely simmering poaching liquid. Don’t ever let the liquid come to a boil. Keep it where the bubbles are just scratching the surface. A good rule to follow for time is 15 minutes per pound of octopus if you’ve added acid to the poaching liquid (wine, vinegar, etc. ), which I recommend doing. The acid helps tenderize the octopus and speed up the cooking process. 6. 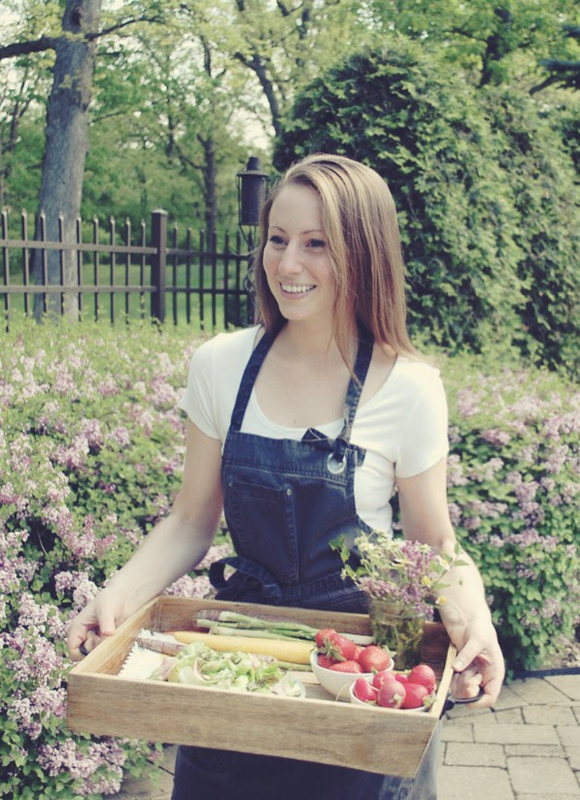 Add Lots of Flavor – The poaching liquid should be extremely flavorful, bright and acidic, but also rich and herbaceous. Octopus is mild, so it will take on whatever flavor you give it. 7. Cool in the Liquid – Once the octopus finishes simmering, you’re going to want to cool it. The best way to do this is just letting it sit in the liquid until cool. This keeps it tender and full of flavor. 8. Carefully Rub Off the Skins – You can remove the skins of the octopus after its cooled by taking a paper towel and rubbing. Don’t rub so hard, though, that you take off the “suckers”. If the suckers are naturally falling off on their own, it’s a sign you’ve poached the octopus for too long. 9. Create a Crust – Once cooled, toss the octopus in a little oil and either grill it or sear it to create a really nice crust. This crispy exterior is the perfect complement to the soft, tender interior. 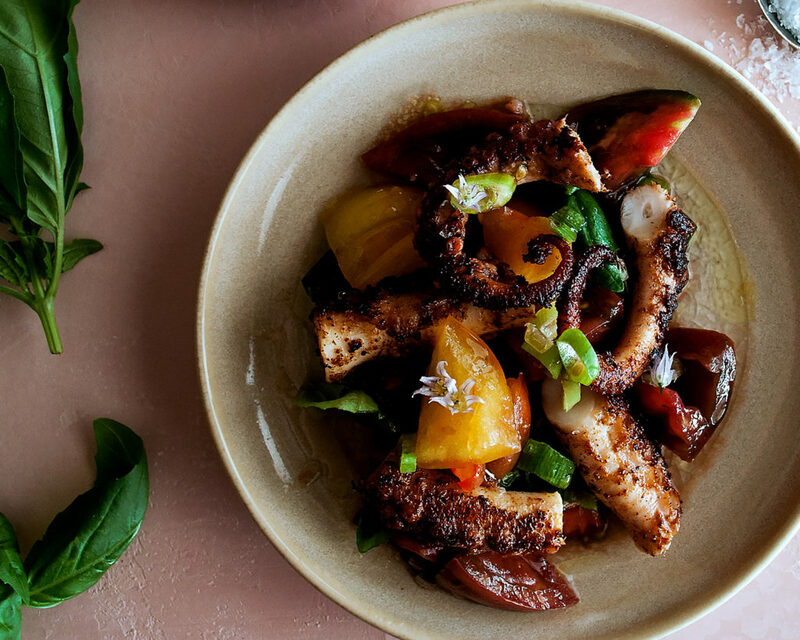 If you’re making more of an octopus salad, though, a sear isn’t always necessary. 10. Get Creative – Octopus is so, so accepting of flavor that it’s the perfect protein to get creative with. Add spices before searing, make creamy sauces to spoon over top, or create a crunchy topping to add texture. I hope this helps you master cooking octopus at home. Let me know how it goes!! 1. Heat a large pot over medium heat. Add the olive oil. Add the diced onion, carrot, and red pepper. Let sauté for about 5 minutes. 2. Stir in the smashed garlic cloves, fresh oregano sprigs, and fresh thyme sprigs. 3. Pour in the white wine, vinegar, and sugar. Let the liquid come to a simmer. Lower the heat and let the liquid simmer for 8 minutes. 4. Pour in the water and add the salt. Squeeze the lemon juice into the pot before dropping the lemons right in. 5. Bring the liquid back to a simmer over medium heat. Submerge the whole octopus into the liquid and immediately turn the heat to the lowest setting. Make sure the entire octopus is covered with the liquid (use a pan to hold the octopus down if it is sticking out). 6. Simmer the octopus for 45 minutes to 1 hour, or until tender when pierced with a paring knife. Do not allow the liquid to come above a very gentle simmer. 7. Turn off the heat and let the octopus cool in the liquid. Remove the octopus and pat dry. Use a paper towel to remove the skin. Cut the tentacles off of the body and place them in a mixing bowl. Drizzle the octopus with a generous amount of olive oil and season with a generous amount of harissa powder. Gently toss. 9. When the octopus is seared and fully heated through, transfer it to a cutting board. Cut each tentacle into 2.5-inch pieces on a diagonal. 1. Meanwhile, add the tomatoes, green onions, and basil to a mixing bowl. 2. Thinly slice the chives and cut the purple flowers off of each chive blossom. Add both the chives and flowers to the bowl. 3. Drizzle a generous amount of olive oil into the bowl and toss well. Season with the flaky sea salt to taste. 4. Plate a mound of tomatoes onto a plate and arrange the octopus over top. Harissa is one of my favorite ingredients for sure. Thank you so much for sharing! Hi Billy! Definitely one of mine, too. Let me know how it turns out making it yourself. And I hope you get to try this recipe! I’ve been trying to make my own harissa at home. Hopefully it compares to store bought!